Temperature control in a charcoal smoker is vital to maintain the low heat necessary to produce tender meat with a smoky aroma. 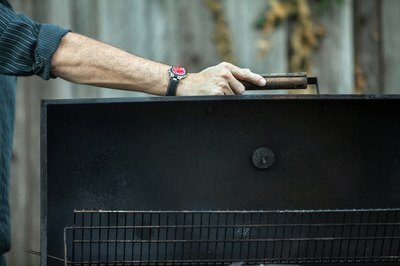 The expression "low and slow" is used by barbecue pit masters to describe the smoking process, in which meat is cooked for hours at a temperature of 200 to 225 F. Unlike gas grills, which have control knobs to manage the flames and thus the temperature, a charcoal smoker requires fine tuning and frequent monitoring to sustain the heat. Open the side vents all the way on the smoker while the fire is burning until the coals turn white and are ready for cooking. 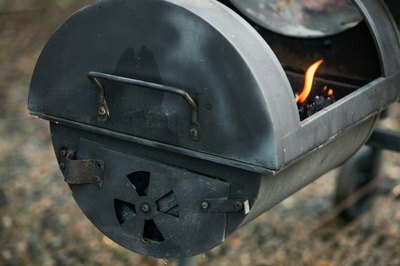 The side vents feed the fire by drawing outside air into the smoker. Close the lid on the smoker once the meat is on the cooking grills and keep the lid closed except when tending to the fire or basting the food. You can expect to add 20 to 30 minutes of cooking for each time the lid is raised on the smoker, because a significant amount of heat will instantly escape. Monitor the internal temperature of the smoker with an oven thermometer. Thick cuts of meat, such as a pork shoulder, should be smoked at 200 F for half an hour per pound. 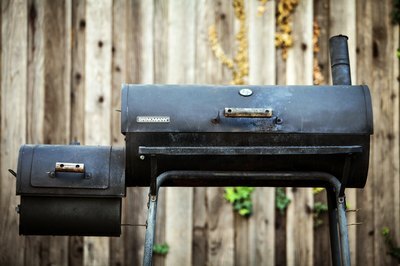 Control the smoker's internal temperature by opening or closing the side vents and adjusting the top vent or chimney. Opening the side vents fully will increase the internal temperature to the maximum the smoker is capable of producing, depending on the quantity of charcoal. Closing the vents and chimney completely will suffocate the fire and cause it to extinguish. Tinker with the side vents by closing or opening one side only to determine how this alters the temperature of your specific smoker. The vents and internal heat can also be affected by external factors such as wind and temperature. Increase and maintain temperature for long smoking periods by adding charcoal about once an hour. Start by adding only a few briquettes. It's easier to increase temperature for a long smoke by adding a few briquettes at a time rather than try to lower the temperature after too many briquettes have gone on the fire. 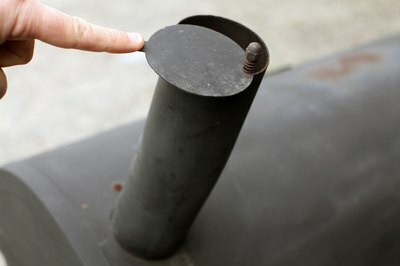 Decrease temperature rapidly by raising the smoker lid. This will lower the temperature from 200 F to 150 F or below in only a few minutes with white coals. Quantity and spacing of charcoal are key factors in temperature. 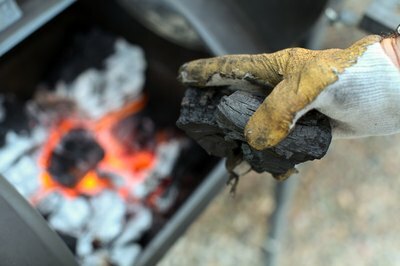 For higher temperatures, pile the charcoal two or three layers deep, but use only a single layer for medium heat. When smoking lighter foods such as fish, rake the white-hot coals so there is space between them to keep the temperature low. How Many Times to Add Wood Chips During Smoking?